The aubergine continues to grow. This is the first one, there is another fruit in a second plant. With further lilac flowers opening across the three black prince plants. Quite rapid growth across the assorted plants as the weather warms up. How exciting! 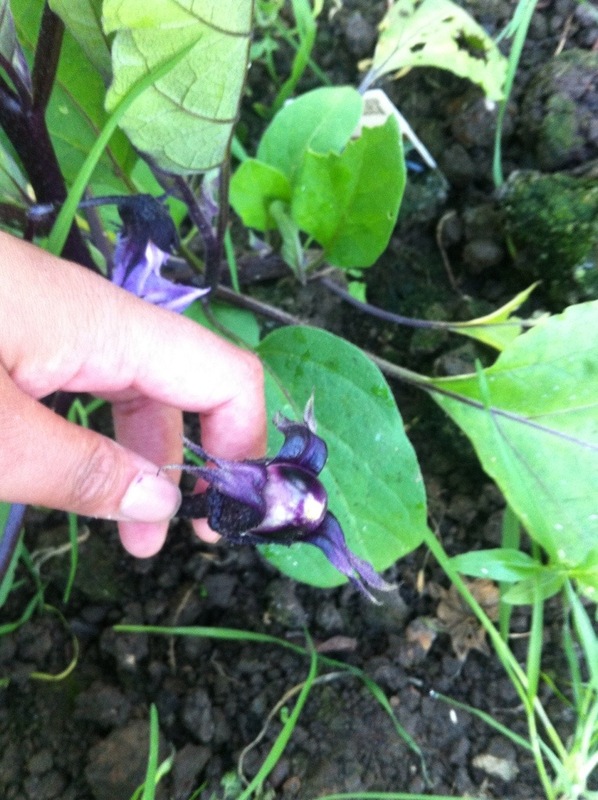 I can’t wait to see flowers on my aubergine plants. I can’t remember what mine are bit I did start later than you anyway. Yes of course, seeds will take longer. 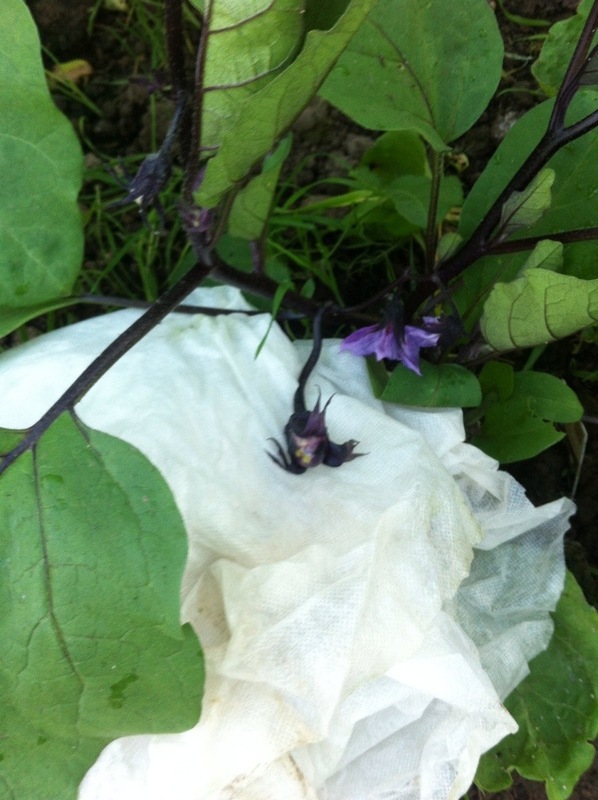 Do you pollinate your aubergines by hand? I only have one plant this year and I’m worried about it not setting fruit. Ah. There may be hope then. That’s good.